Meeting Planners - Edward M. Feinberg, D.M.D. Edward M. Feinberg, D.M.D. Meeting Planners - Edward M. Feinberg, D.M.D. Gain greater conﬁdence and a higher percent of success with restorative cases. 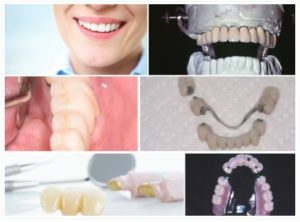 Dr. Edward Feinberg teaches a unique three-dimensional step-by-step approach to crown and bridgework that creates ideal architecture for longevity and eliminates the guess-work. Dr. Feinberg’s presentations point out common pitfalls where practitioners experience difﬁculty with crown and bridgework. Many teeth that are being extracted in favor of implants can actually be saved. Dr. Feinberg’s lectures include numerous cases from a library of more than 100,000 pictures and x-rays taken on patients since 1950. Dr. Feinberg juxtaposes new cases with old cases to provide validation for these techniques. Learn a unique approach to diagnosis and treatment planning that will offer the practitioner new options to help patients—including patients who are not candidates for sophisticated dentistry. This course will also present an evidence-based approach to treating teeth with insufﬁcient clinical crowns. Emphasis will be on techniques for making provisional and permanent restorations that do not fall out. This course will present a simpliﬁed step-by-step approach to full coverage crown and bridgework, as well as a philosophical basis for the entire approach, which is based on sound engineering techniques. Additionally, learn a scientiﬁc approach to crown and bridgework that allows teeth that are often extracted to be saved. Teeth without clinical crowns are routinely saved without posts or build-ups! This approach is a real practice-builder! Learn why the double-tilt precision attachment removable partial dentures last longer than other restorations, are often superior to ﬁxed bridgework, and can be made with both implant and natural tooth abutments. Learn when it is appropriate to treatment plan for both ﬁxed and removable bridgework. Emphasis will be on principles and techniques for making a double-tilt precision attachment case. Diagnostic Considerations and New Treatment Options for Difficult Cases in an ONLINE-LEARNING format. Bring Dr. Feinberg to speak for your next meeting!